The world we live in today looks far different than the one of just 15 years ago. Social media and smartphones have torn asunder the tight circles that bound the existence of countless people around the world, casting humanity across an ever-expanding constellation of connections. At the same time, while the world is morec interconnected than ever, there has been a growing desire to look inward, to search inside ourselves using science and data to beat a path to who we are, and where our ancestors came from. The kits are affordable and easy to use, and can provide surprising, enlightening, even humorous insights to users, especially when combined with the company’s genealogy resources. Pricing is one of the lowest on the market, payment is secure, as you would expect it to be, and all that is required is to log in or create an account at MyHeritage, which requires the most basic information. 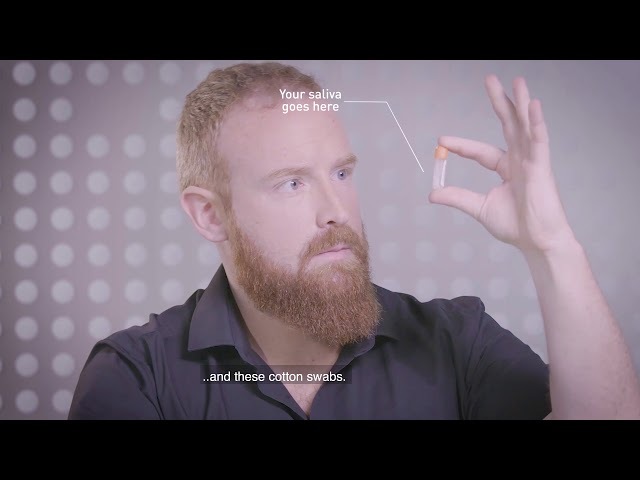 One of the reasons home DNA kits have become so popular is that they’re just so easy to use. First things first, you place your order online, and then in a few days a box will arrive at your home with the test inside. Go online to register the test, so that you can get the results when they’re ready. Make sure you haven’t eaten for 30 minutes, and then get started. Seal the vials in the clear plastic bag, place in envelope and ship it off. Within a matter of weeks you should receive an email notifying you that your test results are ready. Login with your MyHeritage details and enter the unique number that was on the back of the kit package and on the bottom side of the vials. Then just kick back and get ready to take in the results. You might want to clear the next hour or so from your schedule. With MyHeritage you can use the two most powerful tools in genetic and genealogical research—cutting edge DNA testing and the best family tree services in the industry. The DNA test is affordable and gets you your results in as little as 3-4 weeks—which is better than just about any company out there. In addition, these results show your ethnicity broken down by percentage point across 42 unique ethnic regions - including some that are unique to MyHeritage. Better yet, the way that the information is presented is beautiful and quite unique. MyHeritage provides its “Ethnicity Estimate” with a captivating “reveal” experience; featuring fun animations and music specific to your ethnic and geographical background, all of which keeps you in suspense as information about you is revealed. And while your personal DNA results can be very illuminating, without the historical records, long-forgotten news articles and the like, you can miss out on the big picture about what it means for you. 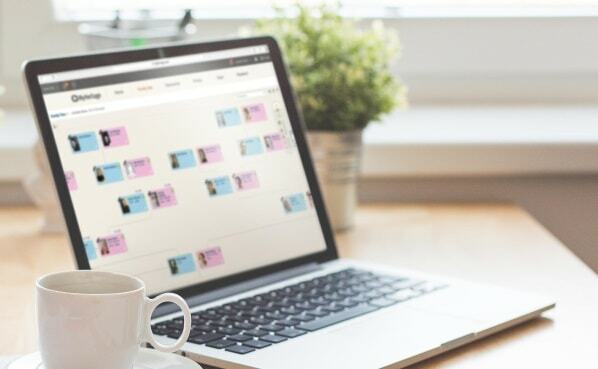 MyHeritage combines lab work with archival legwork, bringing you all types of documents, names, faces, photos, and certificates that you never even knew could help you put together the pieces of your puzzle. Another unique feature of MyHeritage DNA is “DNA matching.” Launched in 2016, this product takes your DNA sample and shows you uses whose DNA matches yours, including to what percentage. These matches can imply a family connection, be it a 3rd or 4th cousin. You can then read further details about the match, so you can determine how the two of you are linked. On MyHeritage DNA this information is compiled and presented on the “Review match” section, with details including “estimated relationships” (such as “1st cousin once removed”), as well as how much DNA you share. You then have the option of contacting this person directly through MyHeritage (for free) and you can also view the other user’s family tree, which can give you some answers before you reach out. 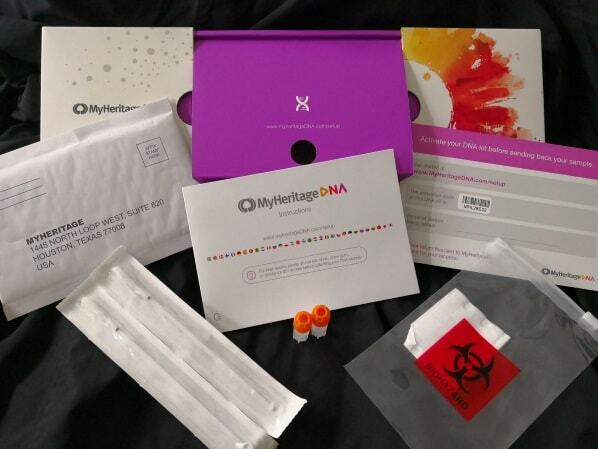 MyHeritage DNA was not designed specifically for paternity testing, but by purchasing 2 kits—1 for the alleged father and 1 for the child—or by uploading test results from another company, users can establish a direct genetic connection, thus providing evidence of paternity. Even after purchasing two MyHeritage DNA you will have most likely spent less than with a typical paternity test. With billions of historical records in its collection, MyHeritage is the leader in online genealogy research. These records help shore up the company’s family tree builder, which is one of the most comprehensive in the industry. There are already millions of users who have taken advantage of the tree-building resource, meaning that you have a good chance of finding a relative on the site. On the family tree builder you get a powerful tree-building software that supports more than 40 language, as well as the use of “smart matches” technology which works to match your tree with others online. The tool will also automatically discover historical records dealing with your ancestors as well as maps. The system is fun, enlightening, and very easy to use. You can even set up your own secure private site to view your results. The Family Tree Builder feature has several reasonably priced options, including Premium ($110 USD), Premium Plus ($175 USD) and Complete ($250.80 USD). The Premium option, however, is fairly limited in functionality in comparison to the other two plans. The site does offer a 30-day money-back guarantee. We tried out the genealogy records by searching one very famous name and one obscure name of a relative. First we searched for information on Harry S Truman (1884-1972), the 33rd president of the United States. The query brought back more than 2 million results from 673 records collections. The first results page had the correct Truman listings for the 1920, 1930 and 1940 US Census, but nothing for 1910. There were 4,921 photographs returned. All of the images in the first 5 pages of results showed old “give ‘em hell, Harry.” More than 1.1 million newspaper references provided a massive array of articles. We also ran the search using the name of a relative who died in 1948. The initial search returned 625,349 results in 448 collections (we ran the search allowing for variations in surname spelling). The first results page had correct listings for the 1940, 1920 and 1910 US Census. Newspaper results showed more than 600 references on newspaper pages. The books search brought back even a couple of obscure references from the Official Register of the United States, showing the relative’s service as a US postal worker. The photo results, however, included no accurate matches among the first five pages. This most likely means no other MyHeritage users had posted photographs of this person. MyHeritage has earned a reputation for quick, reliable customer service. The website has a very extensive knowledge base, complete with simple to follow answers and screenshots. You can find toll-free customer service numbers that are specific to your location, and the company maintains an active social media presence that includes Facebook and YouTube, where you can see new features, and demonstrations of how the product works. Support is 24/7. The MyHeritage DNA kit can give you a detailed breakdown of your ethnicity, showing you facts about your genetic makeup that you never knew, with all of it displayed beautifully across a map of the world. The company goes much further than that though, helping you use DNA matching to find relatives you never knew about, and giving you access to the world’s biggest database of family trees as well as billions of historic documents for the genealogy sleuth in all of us. All of these features are part of a well-designed product that’s easy to use, offers value for money, and provides a great informative experience. 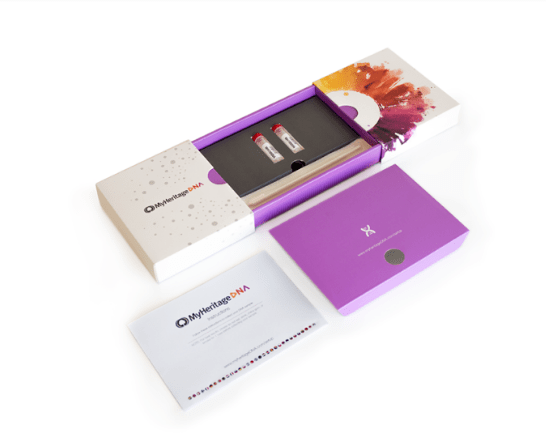 MyHeritage DNA is on top of the DNA home testing game, and it got through by combining the best in science and research pulled straight from the archives.